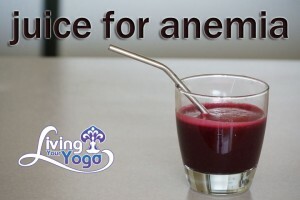 One of my girlfriends is having an issue with anemia and so I promised I would create an anemia juice for her. 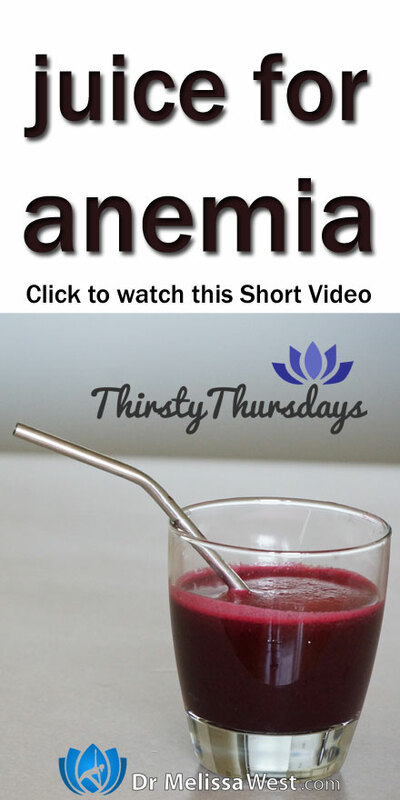 Anemia is a deficiency of hemoglobin of blood (healthy red blood cells which provide oxygen to your body tissues). The result is fatigue. Iron deficiency is the most common cause of anemia. Fresh vegetables for juicing that are high in iron and will help with anemia are watercress leaves, spinach, broccoli, beets, parsley, and garlic. Vitamin C helps with the absorption of iron so apples or citrus fruits could be added to your juice to make it more palatable. One other thing that will help counter anemia is to cut back on caffeine which limits your iron absorption – this includes coffee, tea and chocolate. When you are looking for a hot drink, try the anemia tea I’ve suggested below.